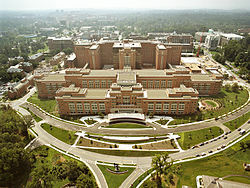 National Institutes of Health (NIH) visit is over and it was a wonderful visit!! A lot of good memories formed and some really awesome news plus some negative news as well. I would like to start with the negative news and work my way up to the positive news! Okay so, my Creatinine levels which determine how well my kidneys are working is 8.84. 8.84 is a very bad number. Normal Creatinine levels range between 0.77-1.19. This would indicate that my kidneys are not working very well. In addition, my kidneys are only 5.6 cm and 6.1 cm which means I have bilaterally small kidneys which in turn means my kidneys are not normal size probably due to them not working. Another indication that my kidneys are not doing well would be the issue with there being 2363.0 mg of protein in my urine. Normal protein levels for in urine is 30-150.0 mg per 24 hours. So I have 15x the normal amount of protein in my urine. Not a very good sign. As Dr. William A Gahl said this would all indicate a need for a kidney transplant. This would explain why I am always sick and vomiting. Which no one here in Nebraska could figure out for some reason. A little bit more negative news is that I need to have my wisdom teeth removed and I have some gum problems. Nevertheless, they Dr. Gahl said that I looked very healthy and he was happy about my progress. He was again surprised by how well my eyes are doing. My eye sight is 20/16 which means my eyes are better than perfect! LOL I can read every line on the chart but the very last one or two. Also my crystals on my eyes are better than other Cystinosis patients! That was some really awesome news!! Some news that is neither good nor bad is that I can lower my Cystagon dose because the damage has been done to the kidneys and that I should work my way back up to 650 dose of Cystagon about 6 weeks after the kidney transplant. If any friends or family have any additional questions about my health or the results of the NIH visit please facebook, email, or call me.